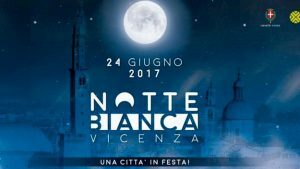 La sera del 24 giugno 2017 si terrà la notte bianca a Vicenza. Palazzo Chiericati per l’occasione prolungherà l’orario di apertura fino alle ore 23.30 così come il Museo del Gioiello. tutte le location sono raggiungibili dal Relais Santa Corona a piedi! On the 24th of June in Vicenza there will be the White Night. There will be 9 locations in Vicenza, with events and events in the historic center until 3 in the morning. Palazzo Chiericati for the occasion will extend the opening hours until 23.30 as well as the Jewelery Museum. All the locations can be reach from Relais Santa Corona by foot!